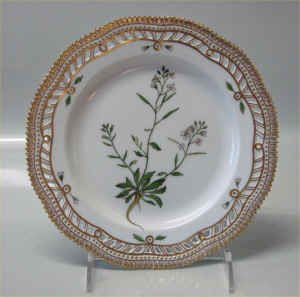 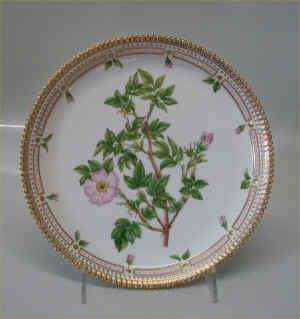 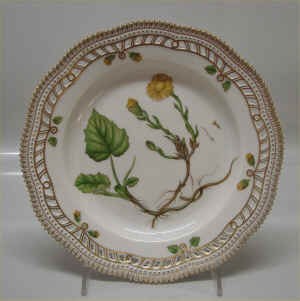 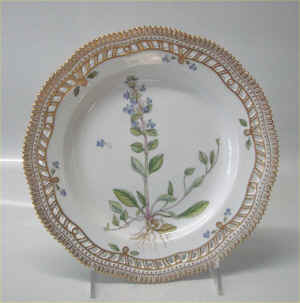 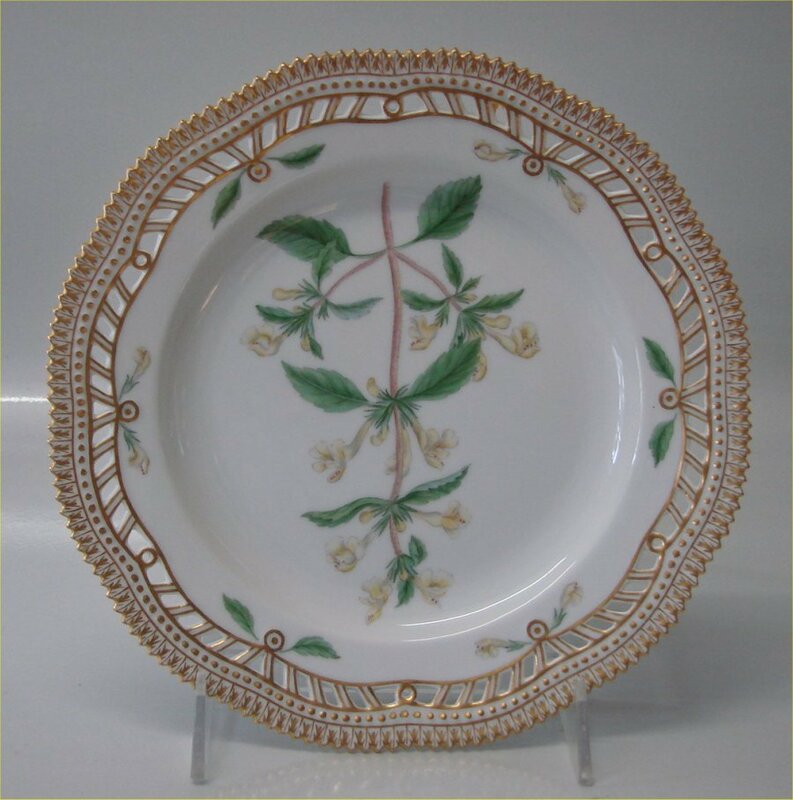 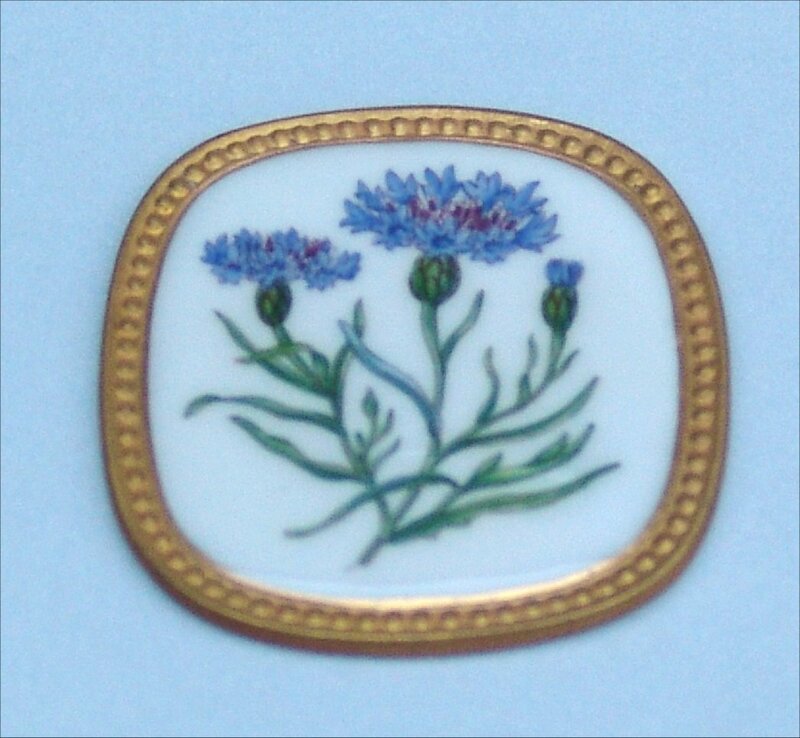 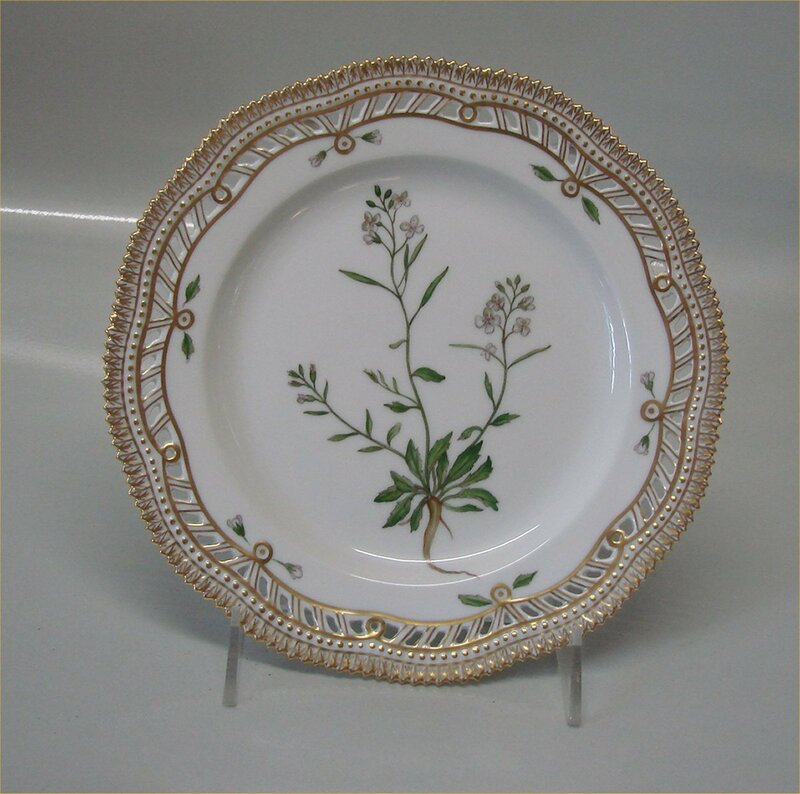 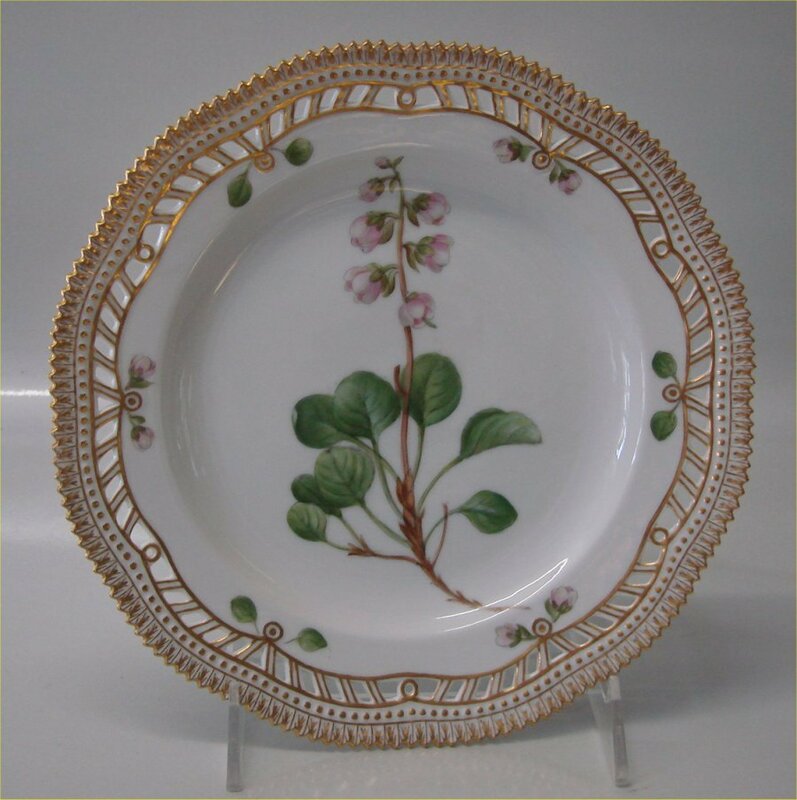 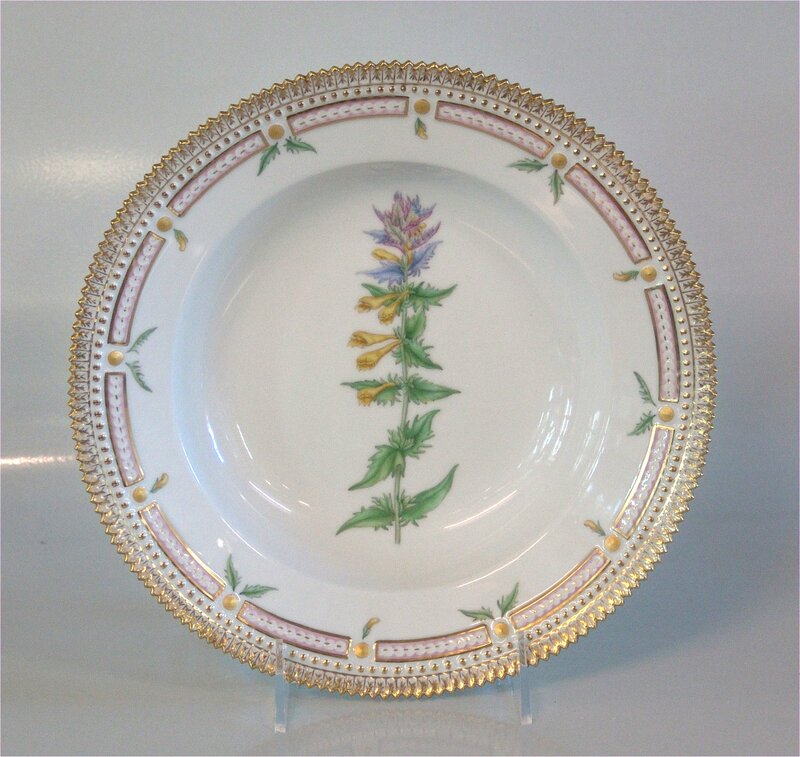 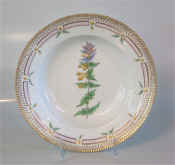 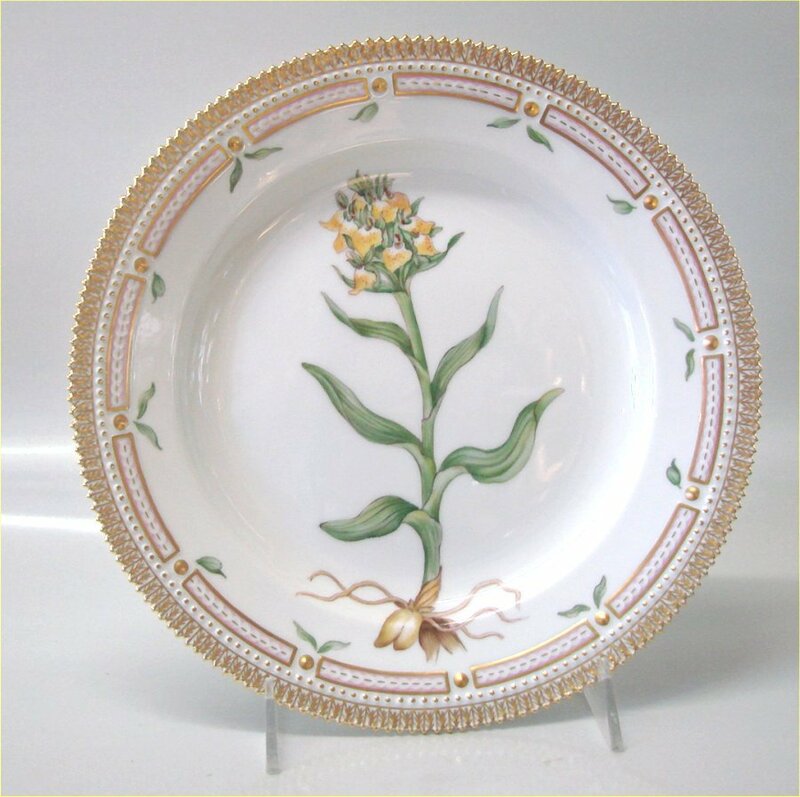 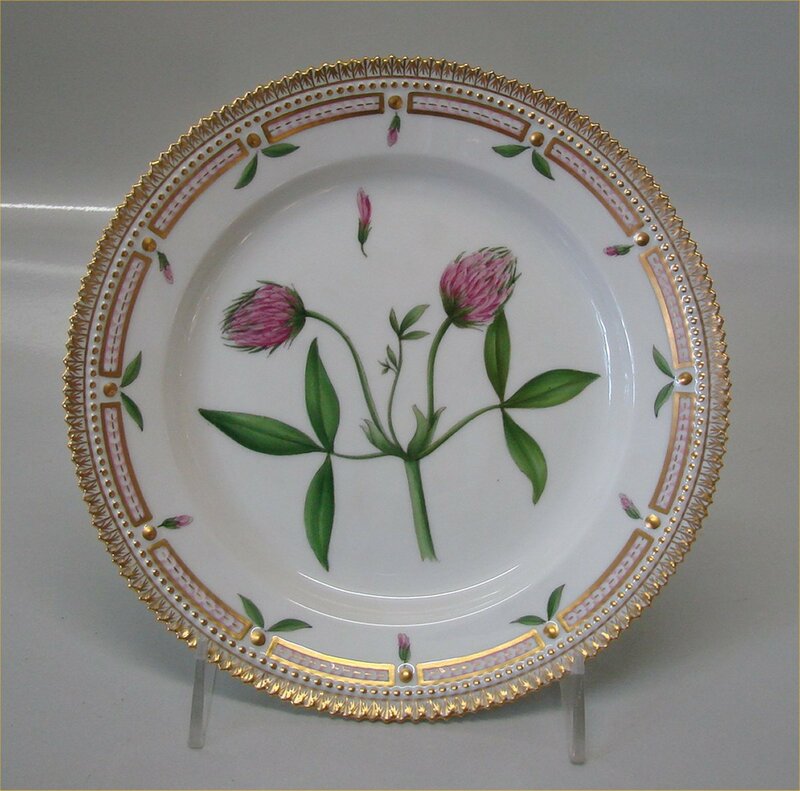 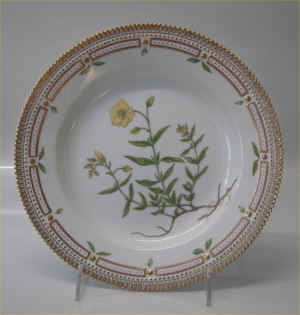 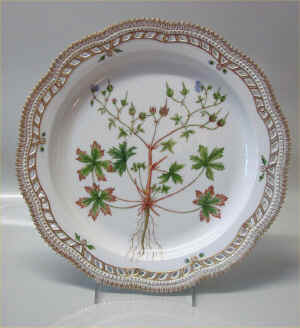 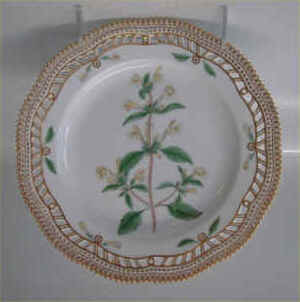 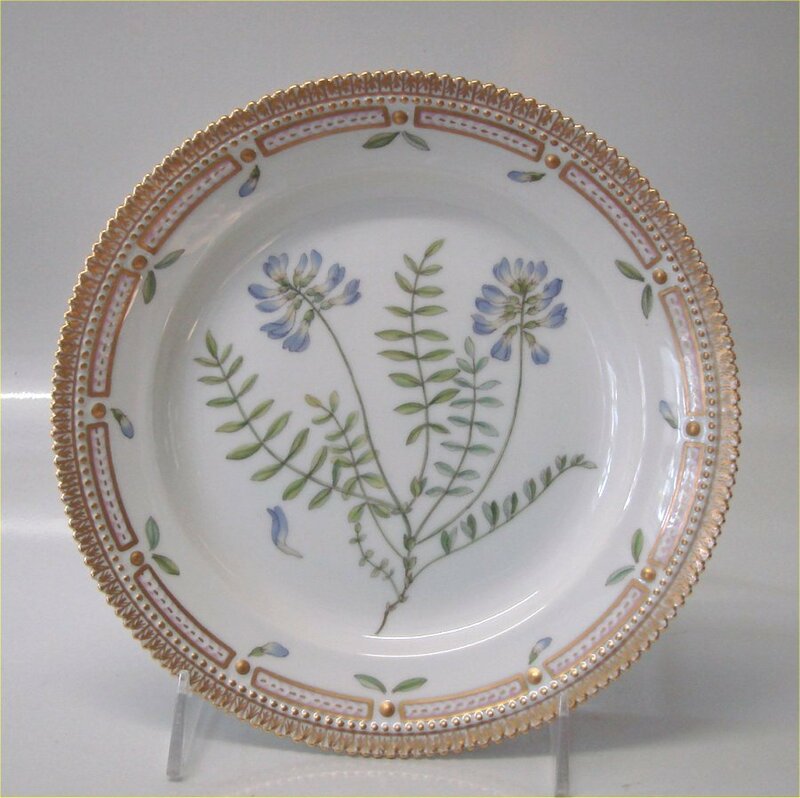 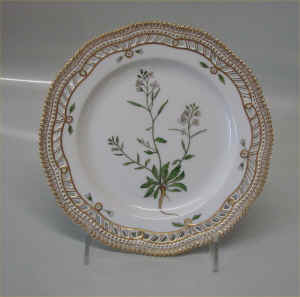 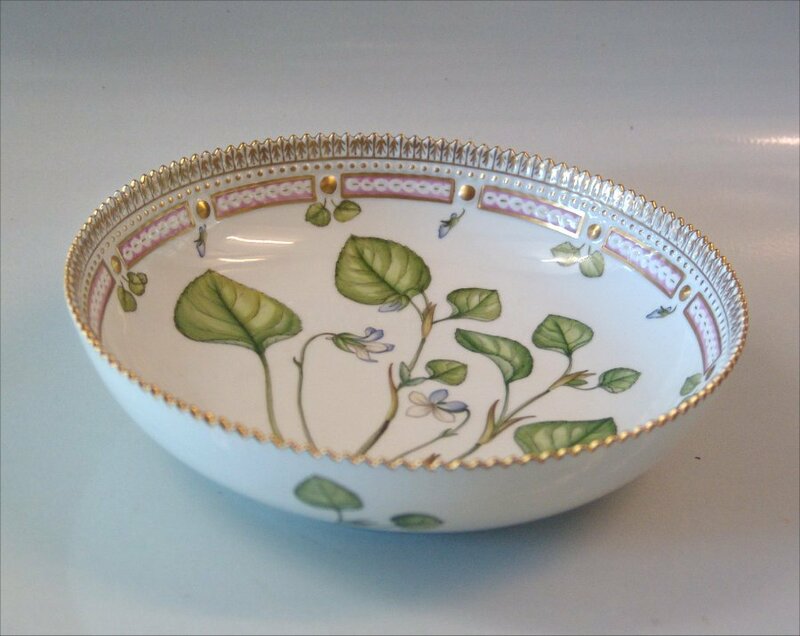 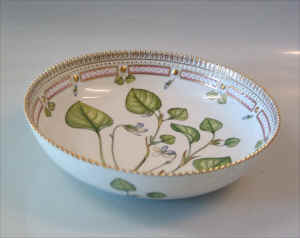 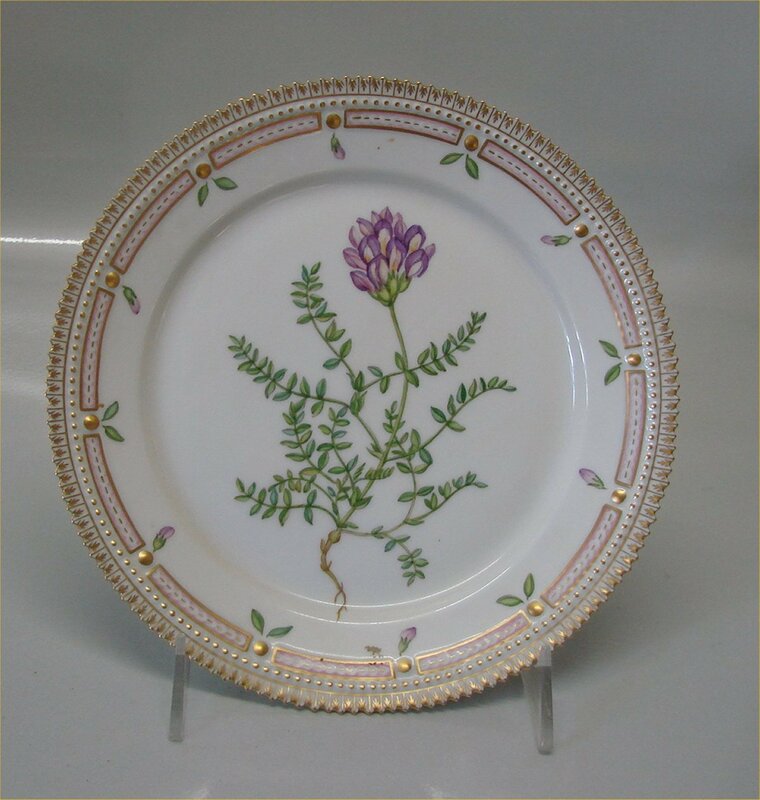 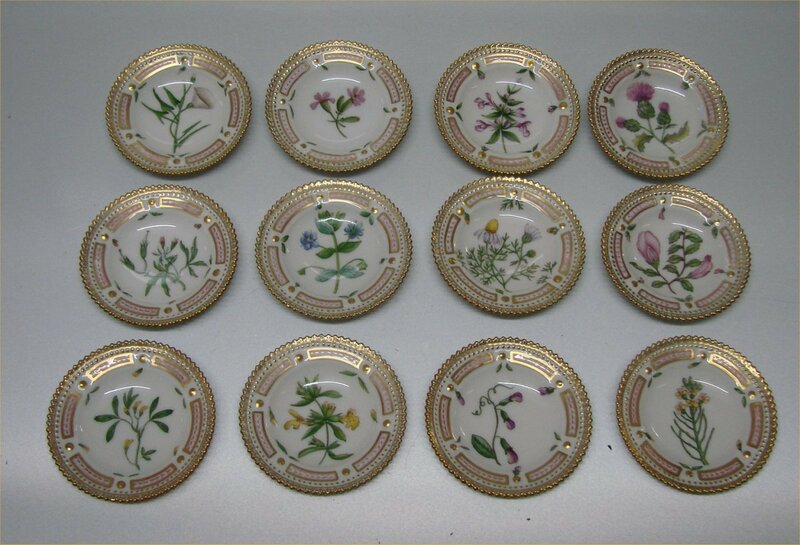 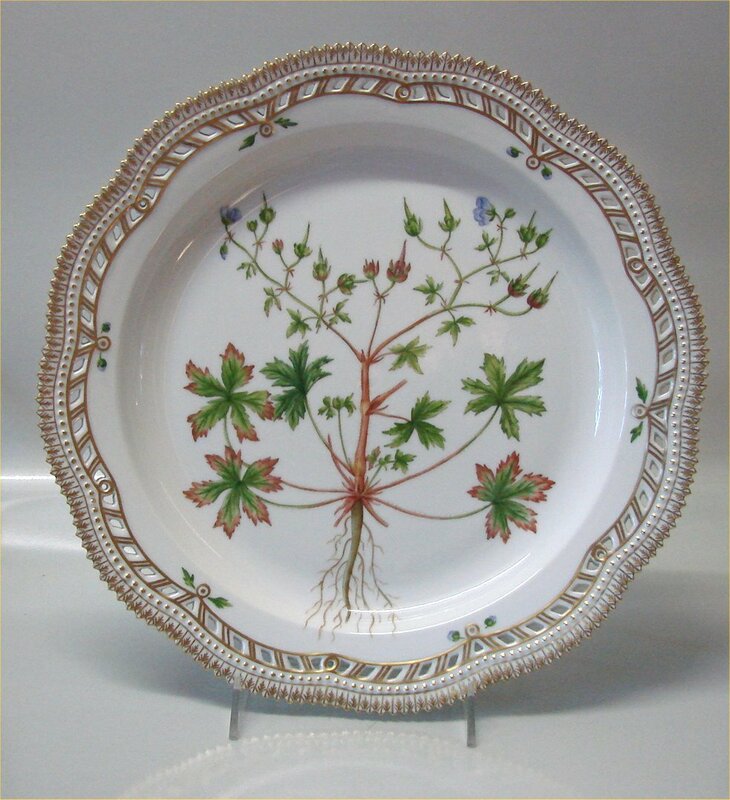 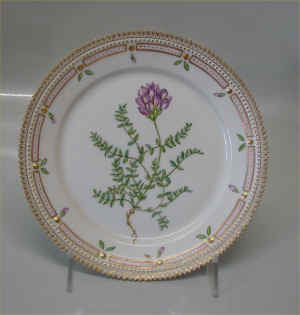 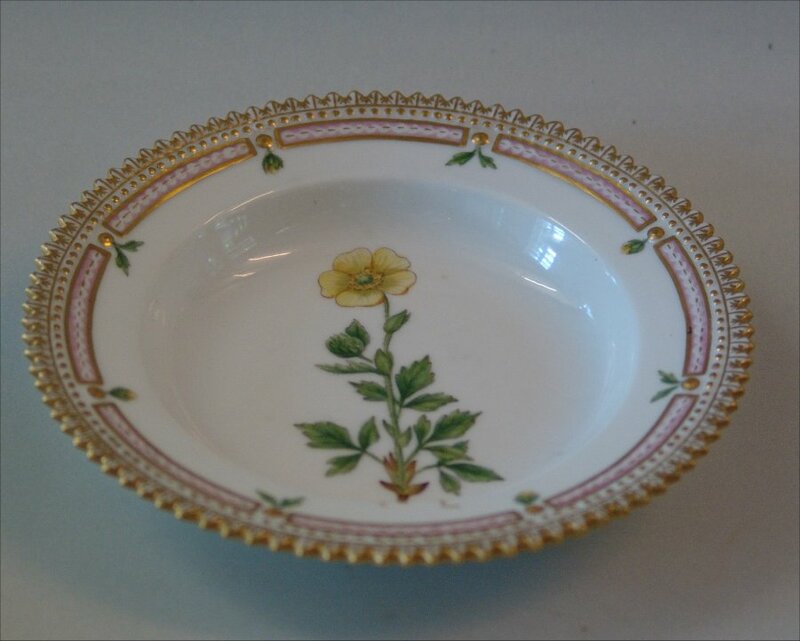 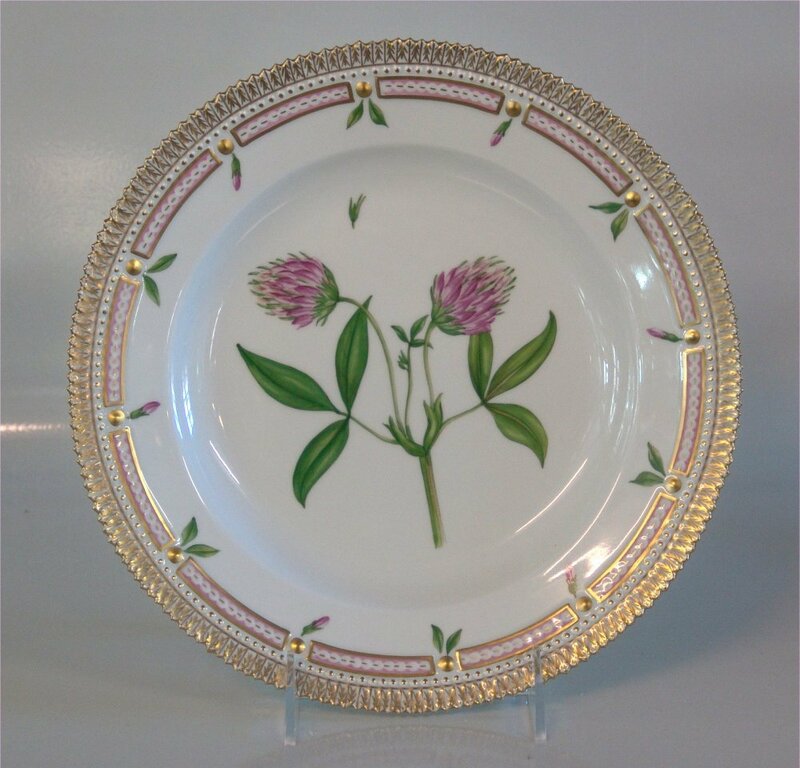 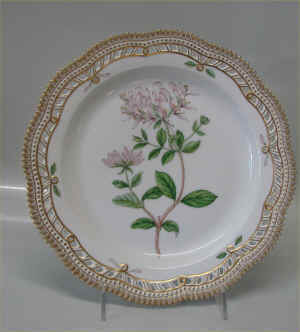 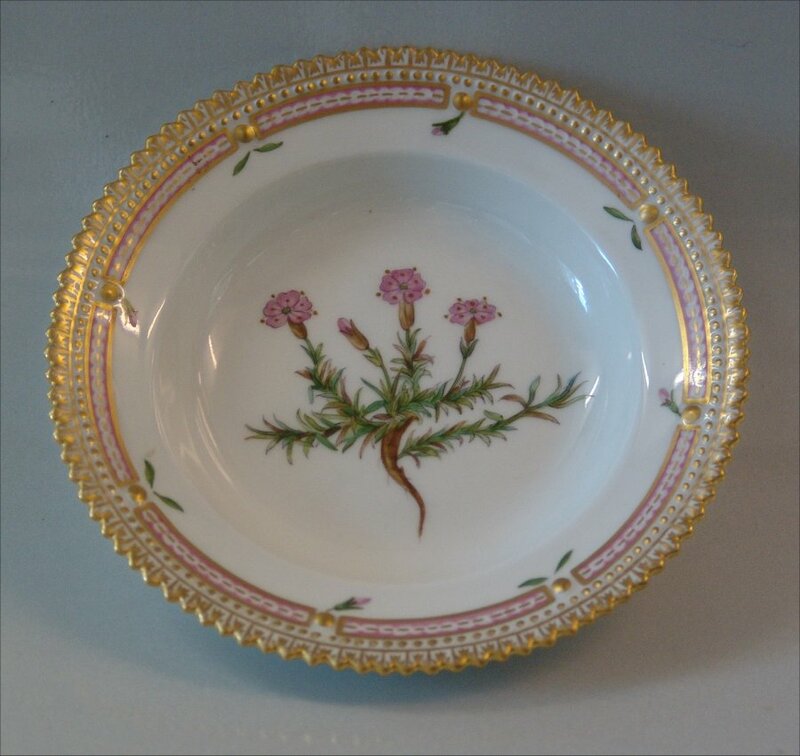 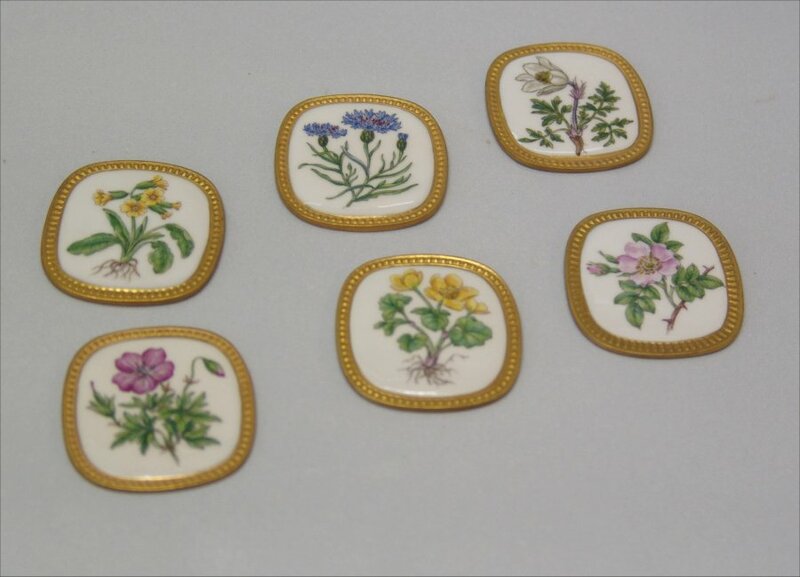 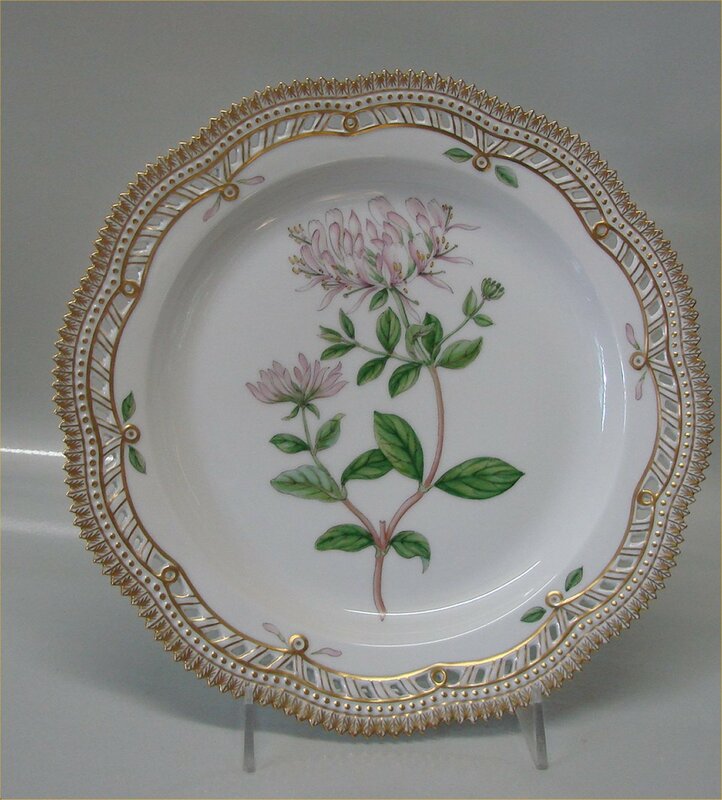 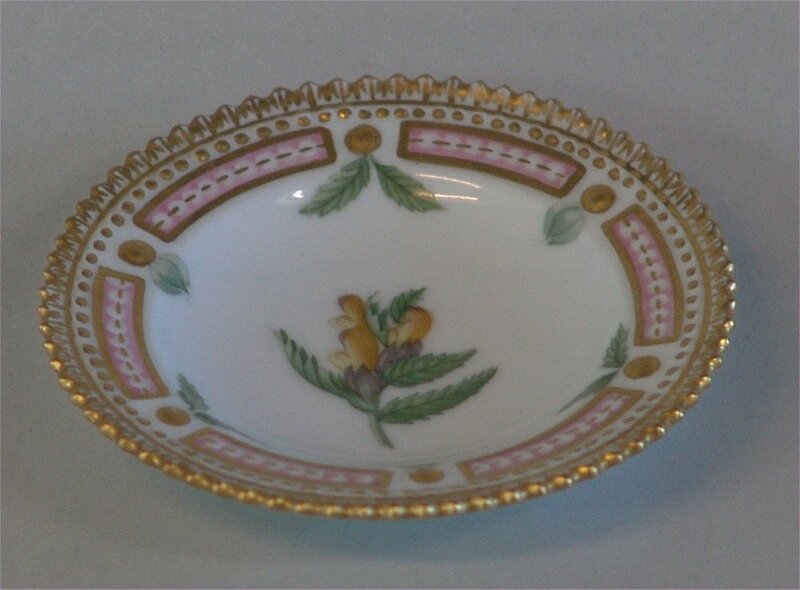 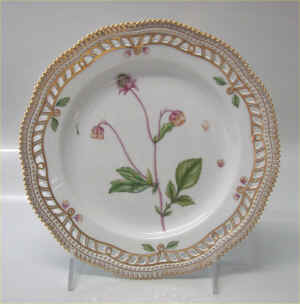 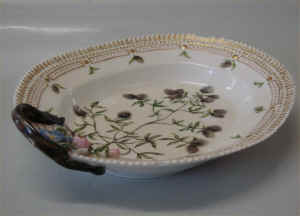 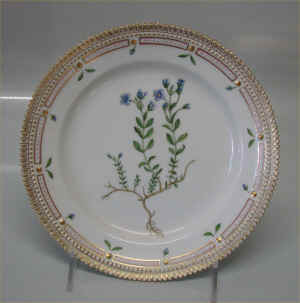 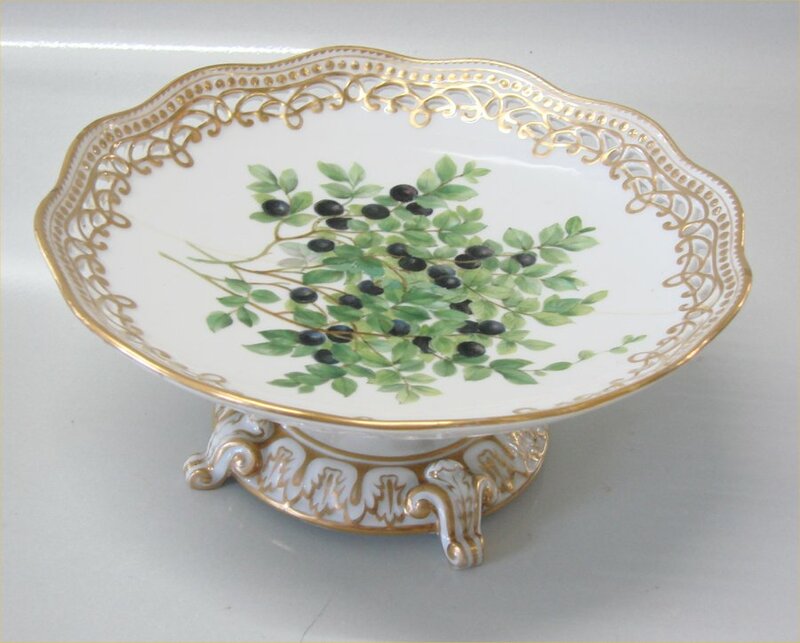 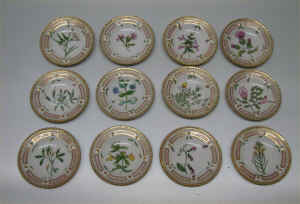 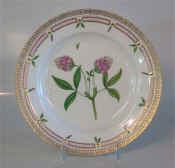 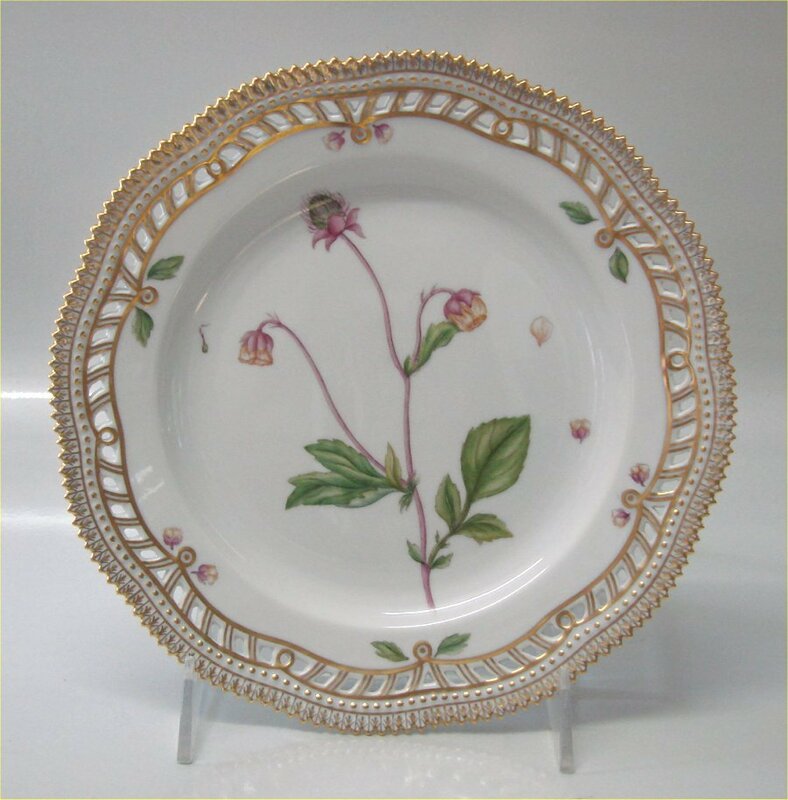 20-3574 Lonicera Perielymenum L Round platter with perforated edge 11 ½" New #:381 Dated 1969-74 Old centerpiece (pre - 1923) decorated in Flora danica stily with flowers and gold 10 x 20 cm 20-3553 Fussilago Farfara L Stand for Large Round Fruit basket/Pierced Dinner Plate New #: 637 Size: 9 ¾" 20-3549 Epilobium alpinum L Pickle Dish New #: 343 Size: 7"
20- 3554 "Gardamine Petrea L" Fad til lille rund frugtkurv, flad tallerken med gennemskåret bort. 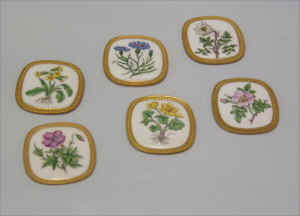 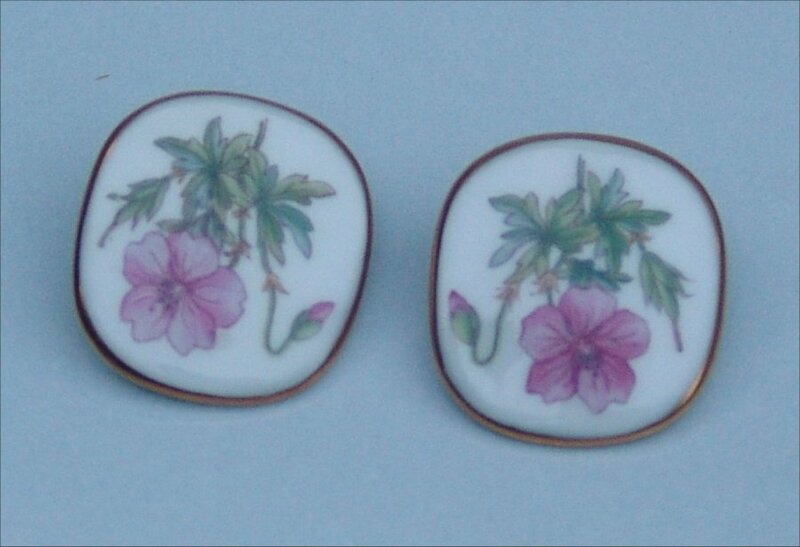 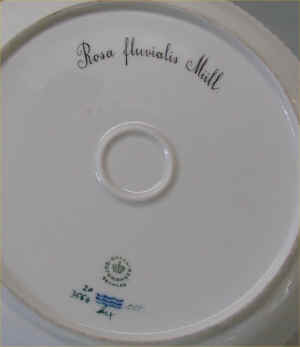 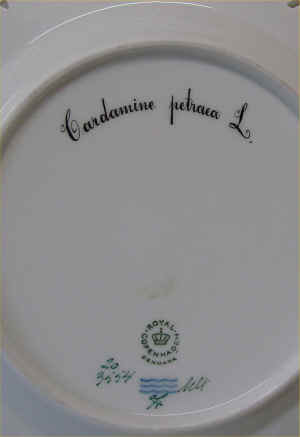 (1969) 23 cm 20- 3554 "Papaver Nudiauele L" Fad til lille rund frugtkurv, flad tallerken med gennemskåret bort (1969) 23 cm 20-3529 "Geranium Bohemieum L." Rundt fad med gennembrudt kant. 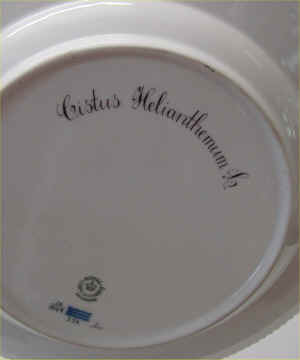 Nyt # 384; (Fra 1969) 36 cm 20-3553 "Thymus Chamaedrys Fr." 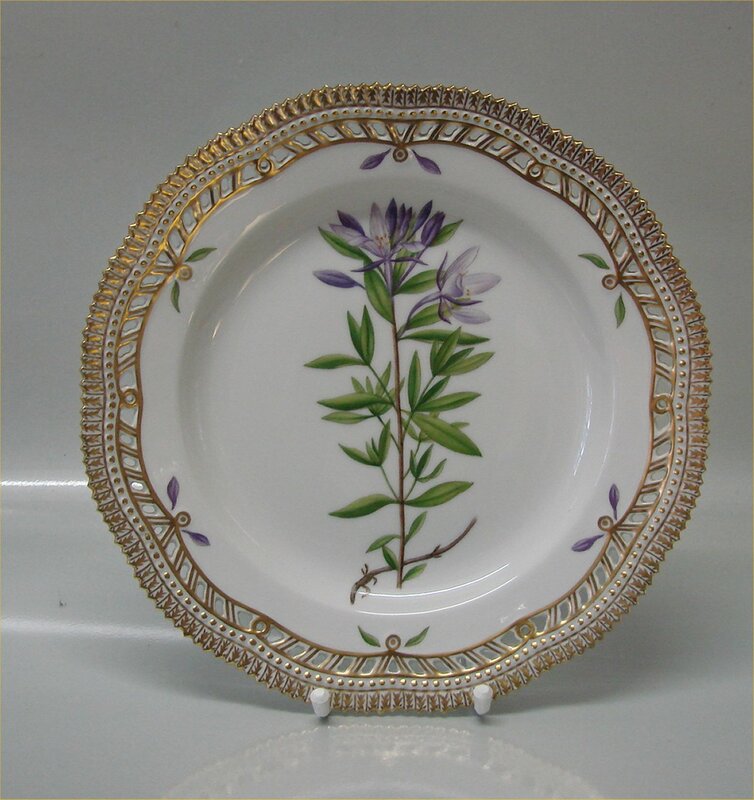 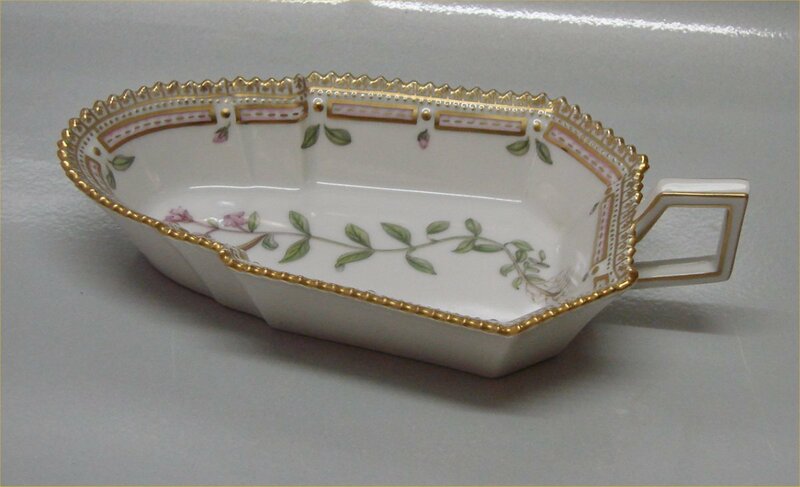 from 1939 Stand for Large Round Fruit basket/Pierced Dinner Plate New #: 637 Size: 9 ¾"
RC 20 - 3554 - 3533 "Gardamine Petrea L" Stand for Small Round Fruit Basket/Pierced Lunch Plate New # 635. 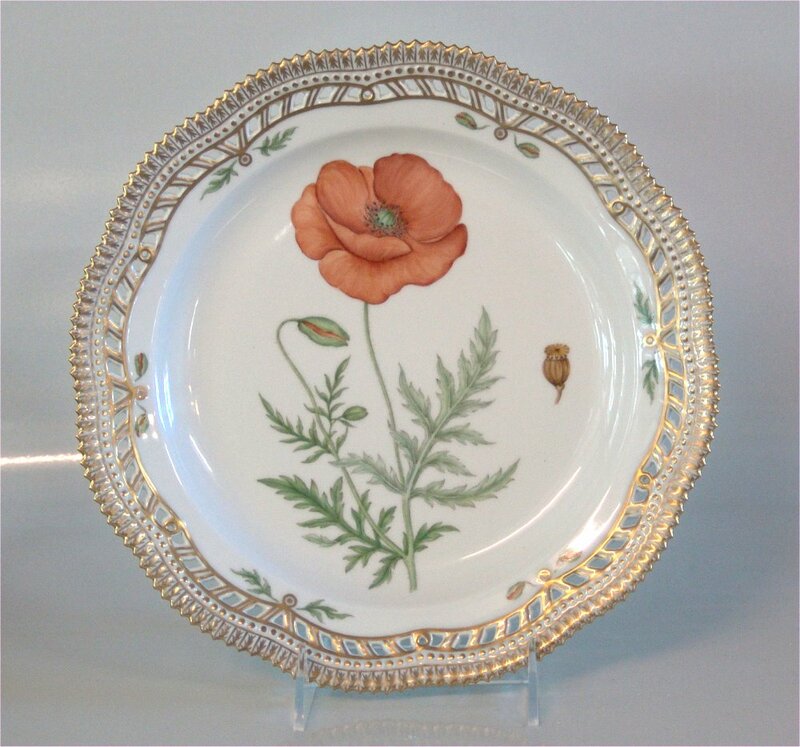 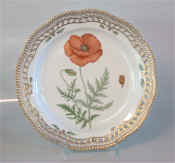 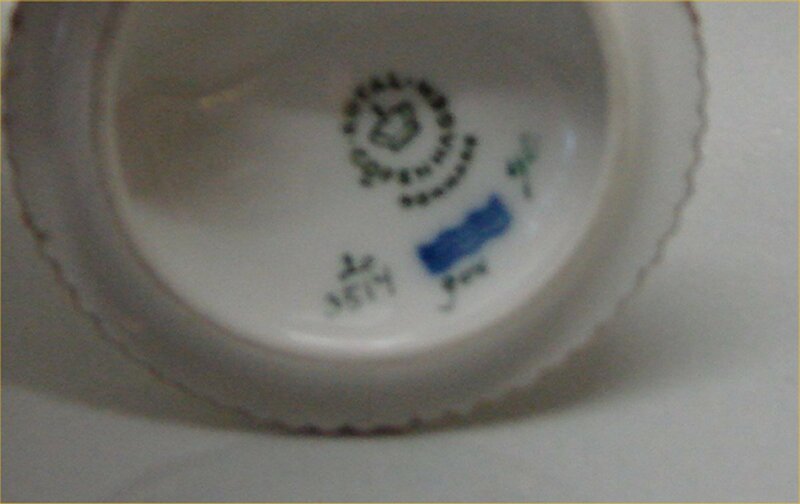 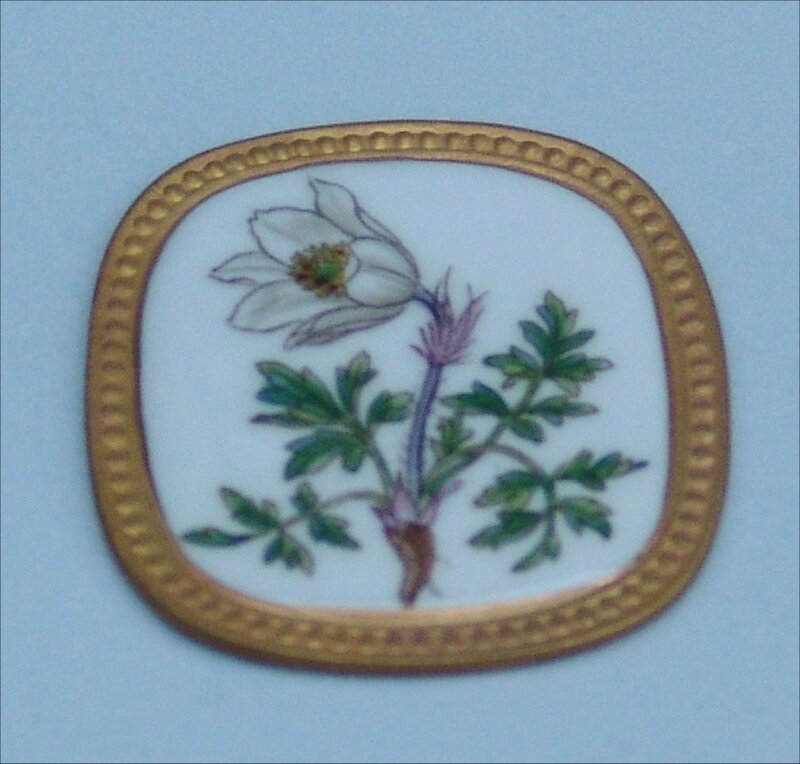 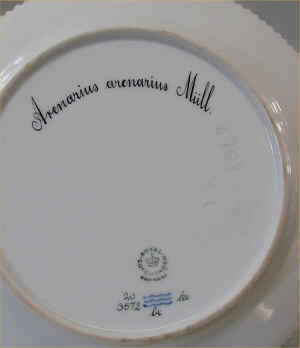 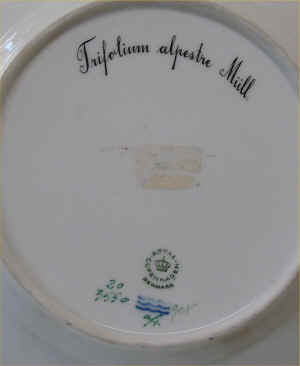 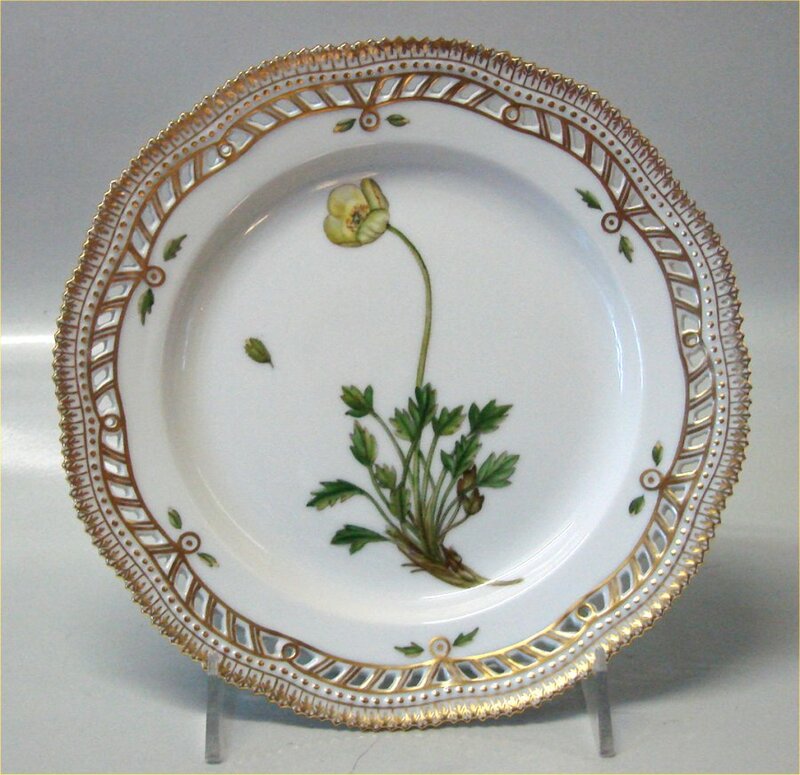 (From 1969) 9" RC 20 - 3554 - 3533 "Papaver Nudiauele L" Stand for Small Round Fruit Basket/Pierced Lunch Plate (From 1969) New # 635. 9" 20-3529 "Geranium Bohemieum L." Round Platter with Perforated Edge New # 384; (From 1969) 14 ½" 20-3553 "Thymus Chamaedrys Fr." 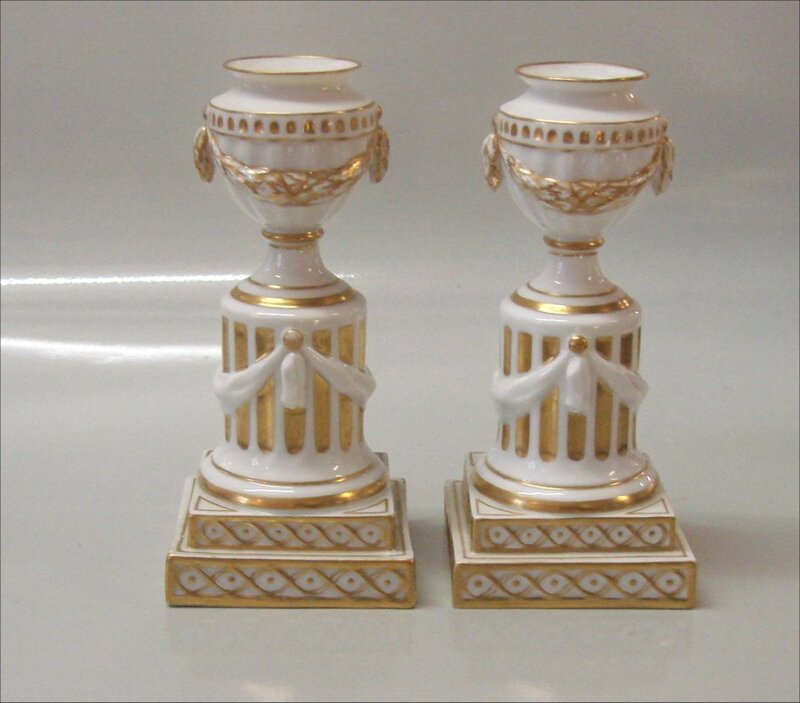 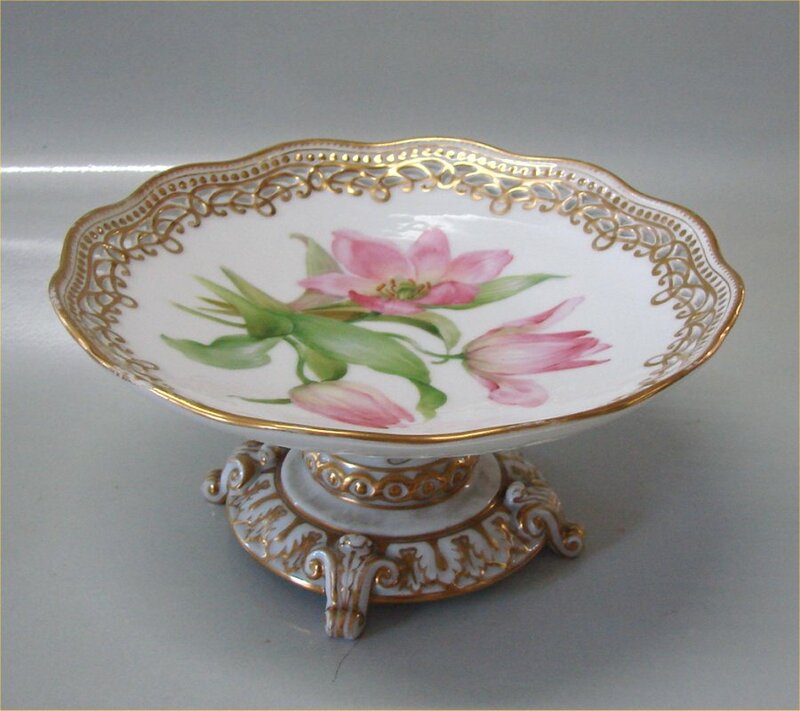 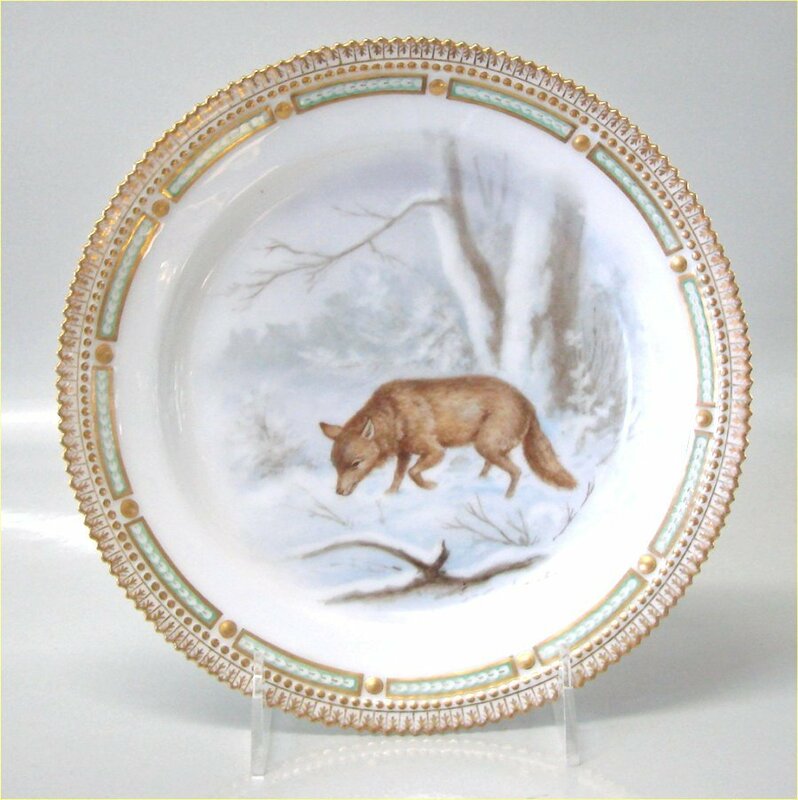 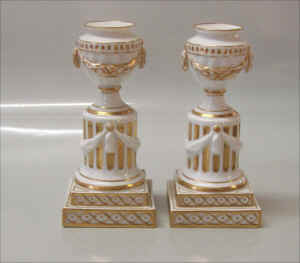 from 1939 Stand for Large Round Fruit basket/Pierced Dinner Plate New #: 637 Size: 9 ¾"
20-3514 Round Covered Custard Cup without Saucer New #: Set: 253, Lid: 254, Cup: 255 Size: 3 1/4 Pair of Royal Copenhagen Candlesticks 20-3549 Traditional Dinner Plate: Cistus Heliathemum L. New # 624 10" From the year 1980 20-3553/3534 Stand for Large Round Fruit basket/Pierced Dinner Plate New #: 637 Size: 9 ¾"
Kgl. 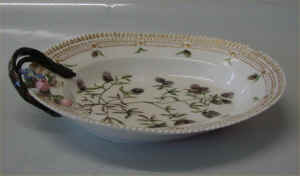 Dansk Fauna Danica og Flora Danica, samt jagtplatter købes. 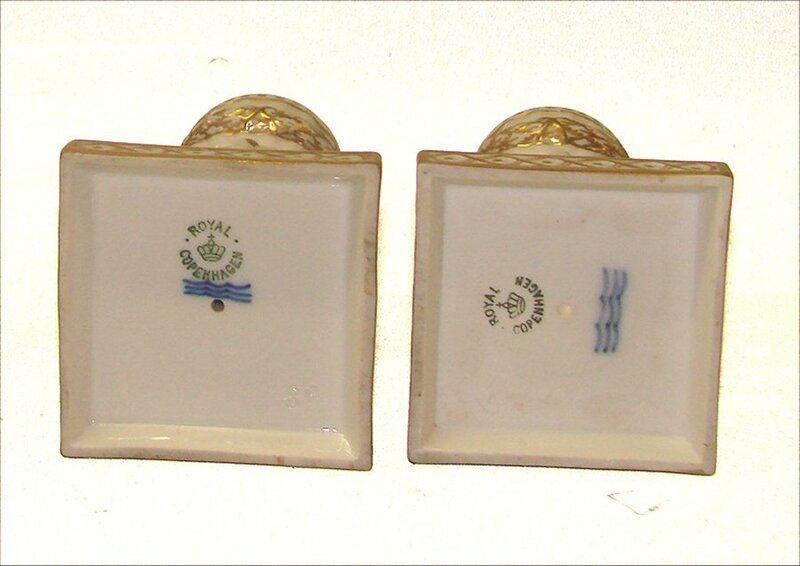 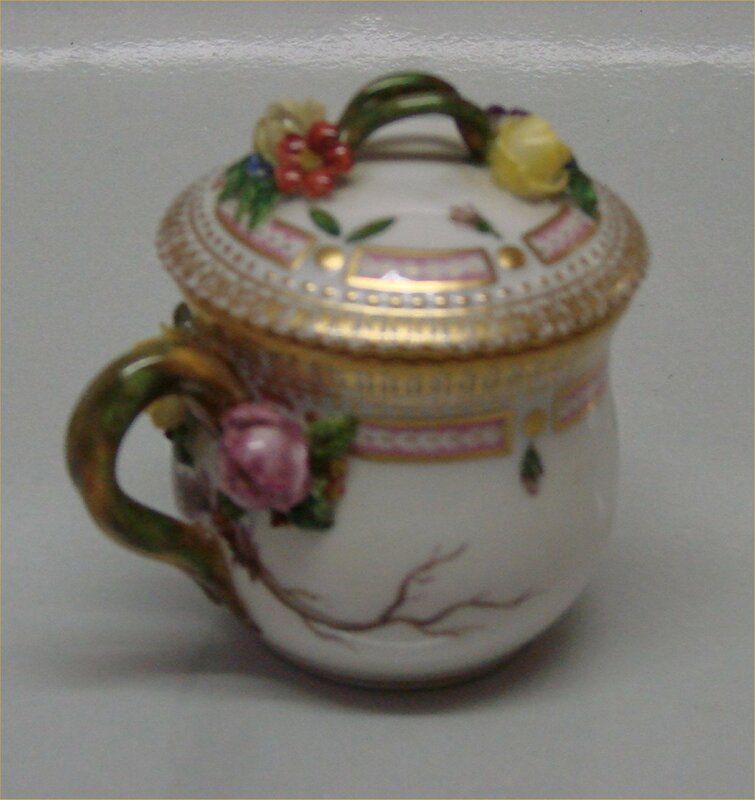 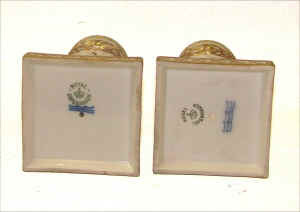 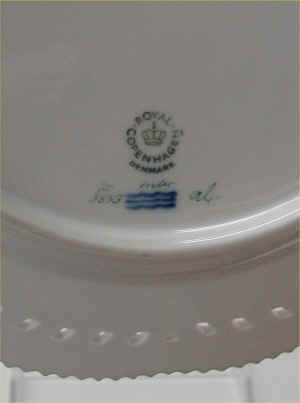 Formidling af salg af Royal Copenhagen Flora Danica porcelæn. 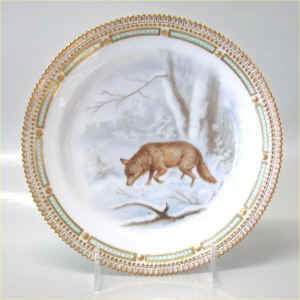 Send evt. 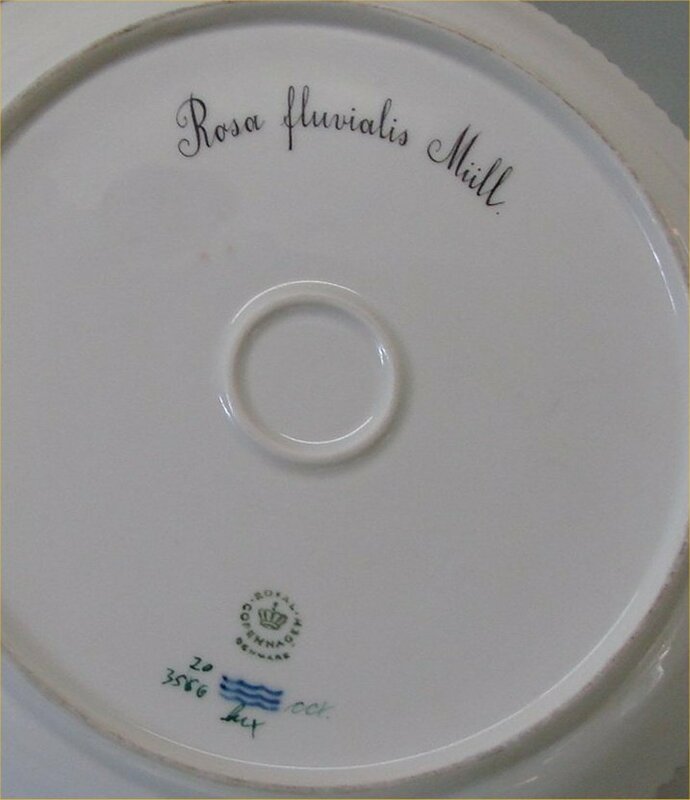 en mail og indhent et tilbud.